Planning a trip all the way down to next Saturday's match at Kilmarnock? If you are, the chances are that you'll travel in the warmth and comfort of a coach or car, or perhaps make good use of the railways. Not so Kyle Hewitt. Kyle is planning to make the journey a good bit tougher for himself by finding his way to Rugby Park, from Aberdeen, on his bike. This young man is a seasoned cyclist with trips such as Land's End to John o' Groats under his belt and who sees a wee training run as taking up about 100 miles. 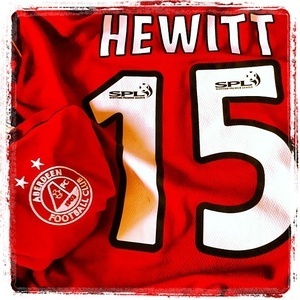 Now this enthusiastic Dons' fan is planning a season long venture to help raise funds for the Aberdeen FC Heritage Trust by cycling to every away ground in the SPL throughout the current season. Kyle says: "I have a tremendous passion for the Dons and that is growing stronger all the time and I wanted to give something back by promoting and support the Trust, which is a charity closely affiliated with the club. To do this I will spread the word by going to away games on my bike and on my travels encouraging as many members of the Red Army as possible to donate to the Trust in recognition of my efforts. Hopefully lots of my fellow fans will chip in with donations whilst I am doing the hard work. Just think of it as buying the Trust a pint. I would love it if fellow fans can also help publicise the trips and spread the word by taking photos when they see me en route to games and posting them on the internet. That would be really helpful." In a year of high profile sporting endeavour throughout the UK it is great to see a local sportsman doing his bit for his community by combining his love of football with his passion for cycling to benefit a charity. This is especially true when that charity is working for the benefit of all Dons' Supporters. To find out more about Kyle's sporting ambitions, visit: CyclingScotsman.com where you will be able to follow Kyle's routes and progress of each outing. To find out more about AFC Heritage and to help Kyle with fundraising for the Trust please tour the Trust's website which is packed with information about the Dons and where you can find a PayPal donation button on the home page. If you are donating, please mention Kyle's name in the transaction. Whatever you can manage will be very much appreciated.